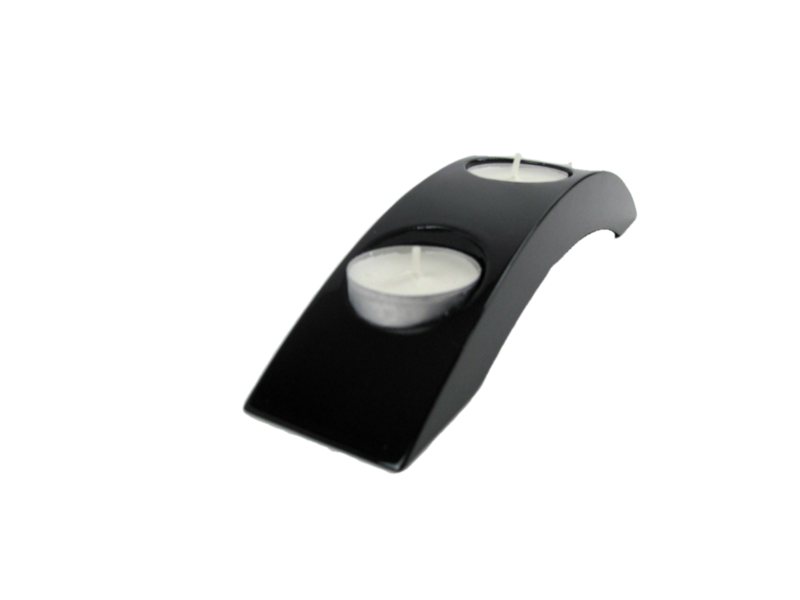 This glossy black wooden lacquer tealight holder adds an elegant and classic feature to any room. 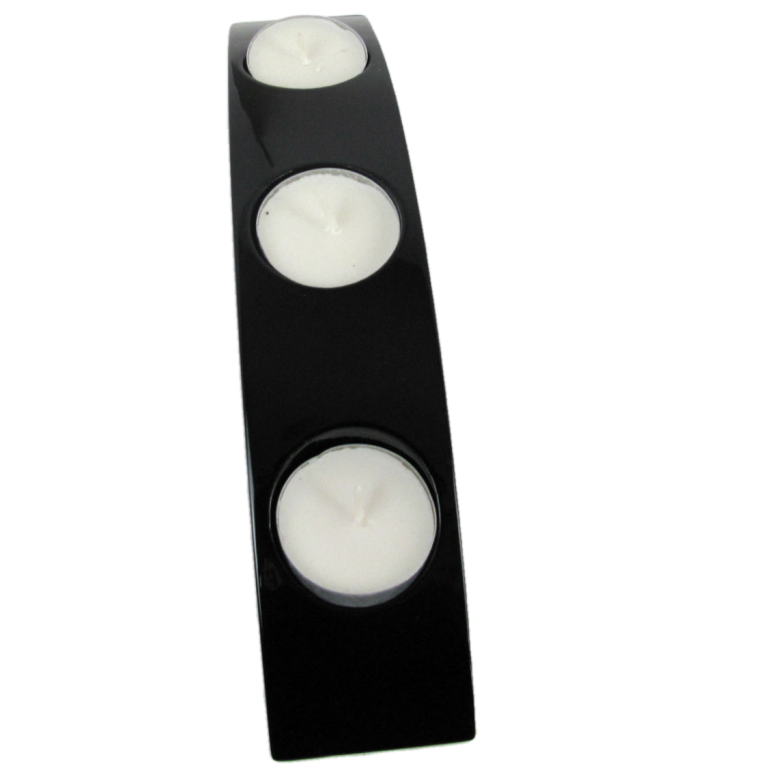 Available for 3 tealight candles. 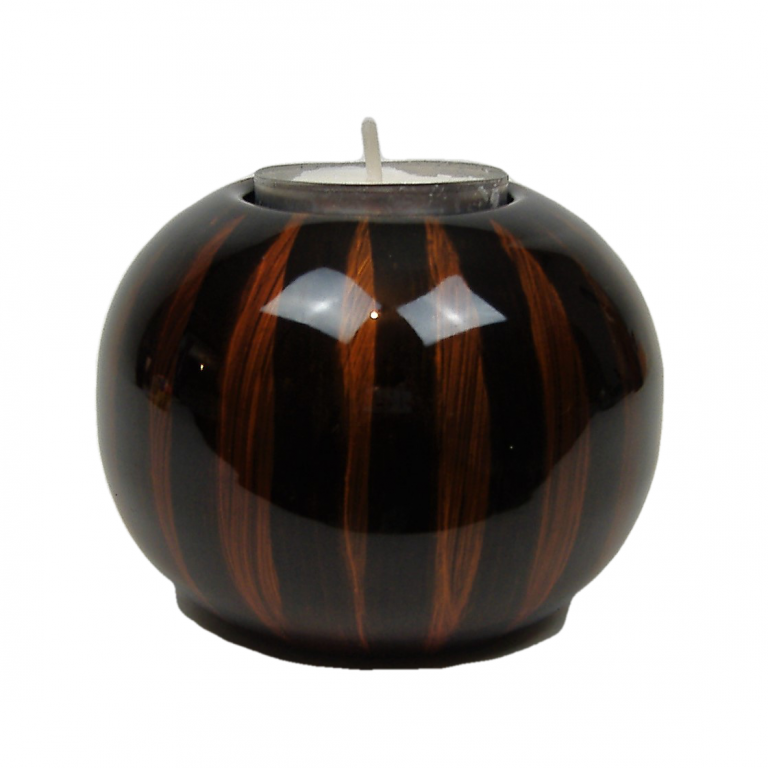 Silkwood Traders black wooden lacquer tealight holders start life as trees from managed plantations which after being harvested is turned into a wood composite fibreboard. 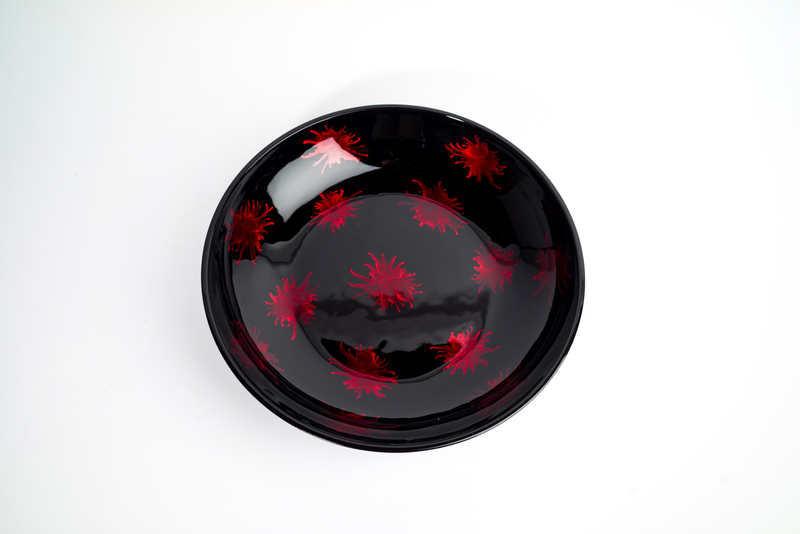 Each holder is carefully prepared, hand-painted and layer upon layer of lacquer applied over a period of several months. 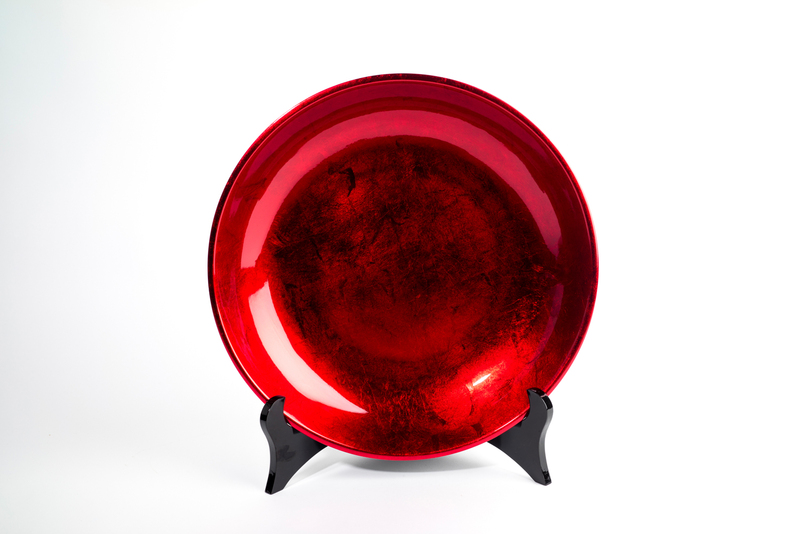 In between each layer of lacquer, the item is left to dry, sanded back and then another layer applied giving a beautiful shine and depth of colour. 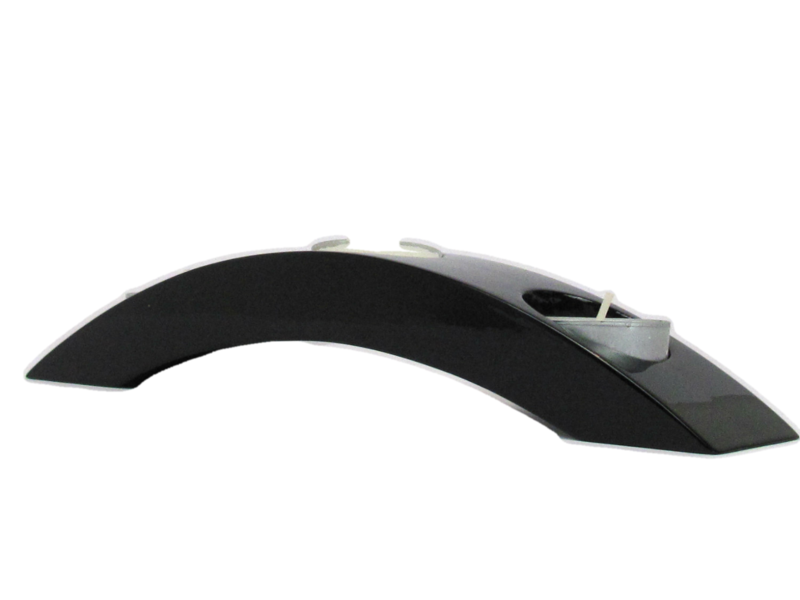 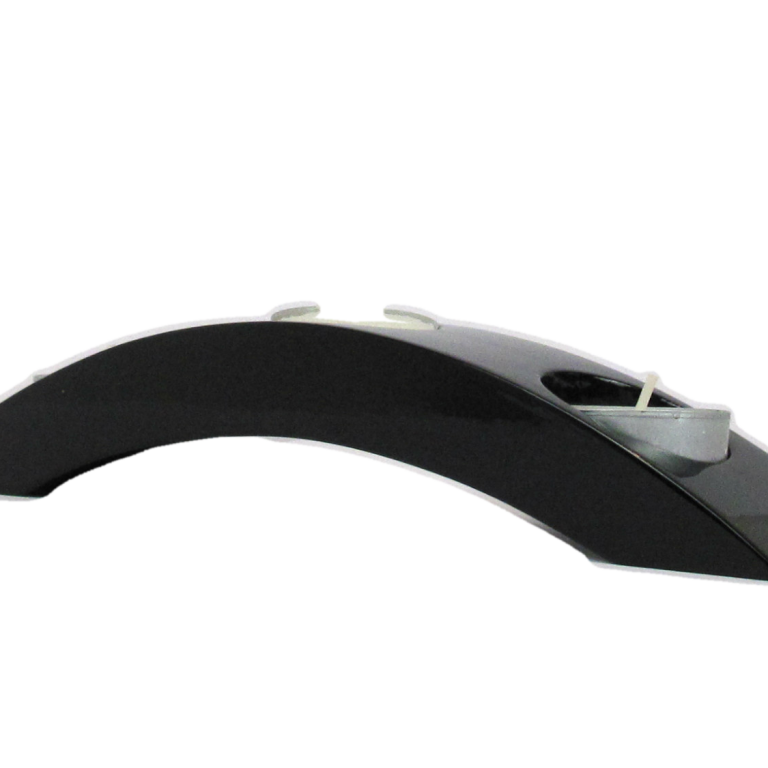 It also results in a strong and robust finish which can withstand most bumps and drops. 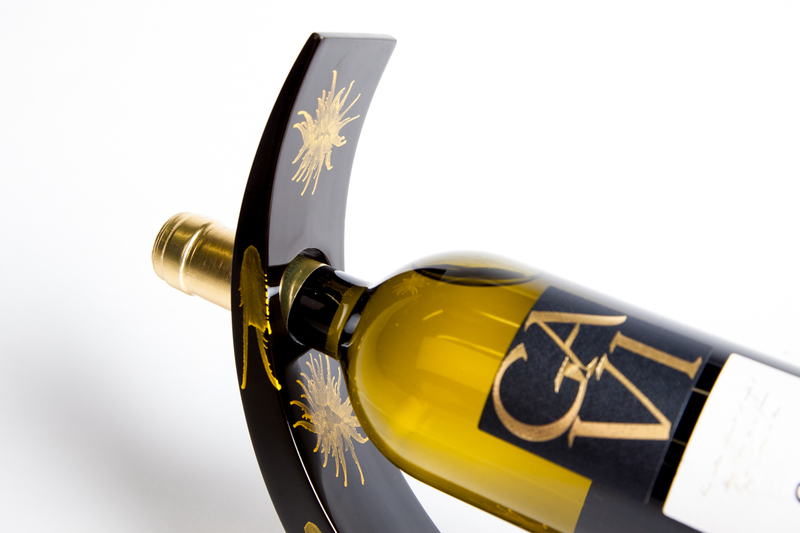 But always better to be safe than sorry so we always advise to handle with care. 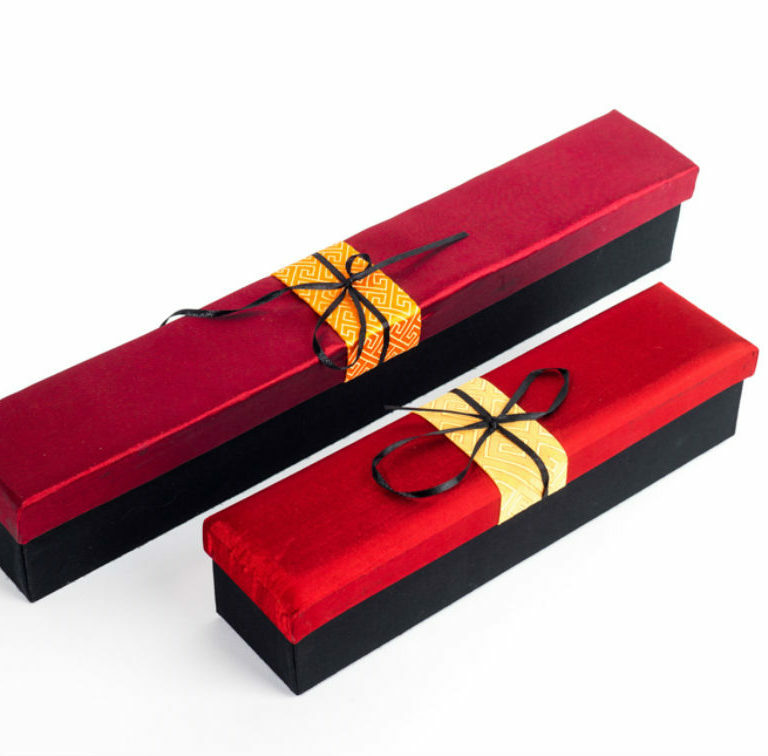 After all, it took three months to make! 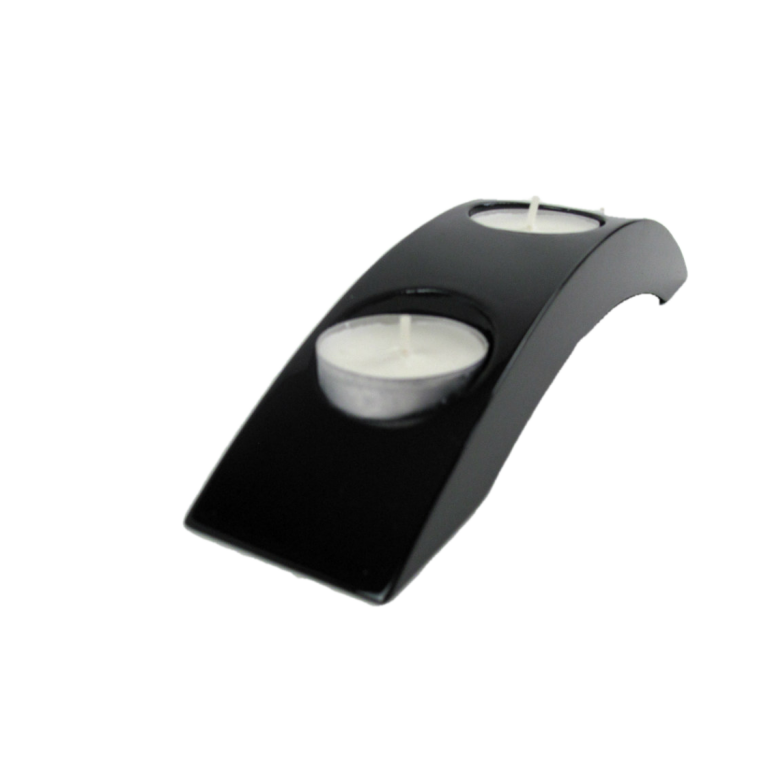 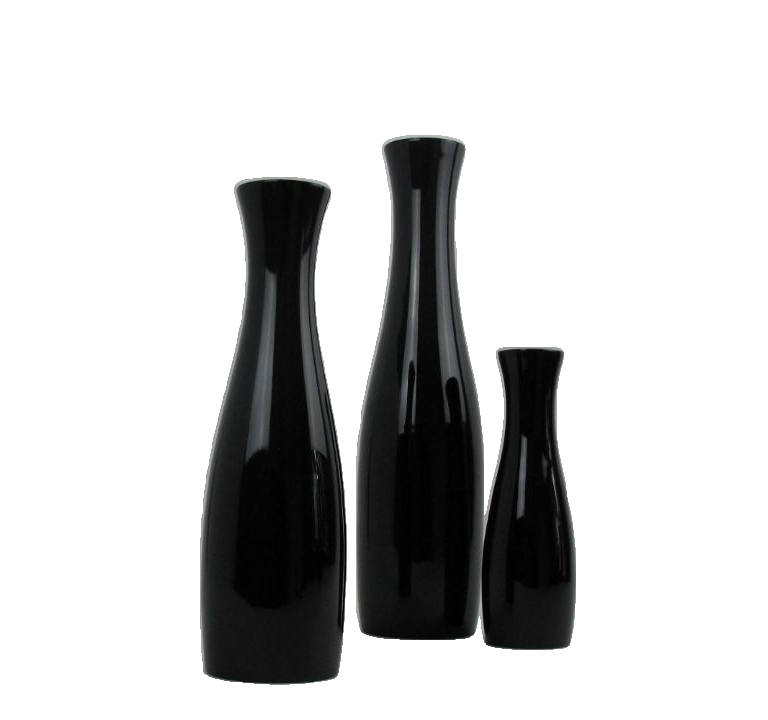 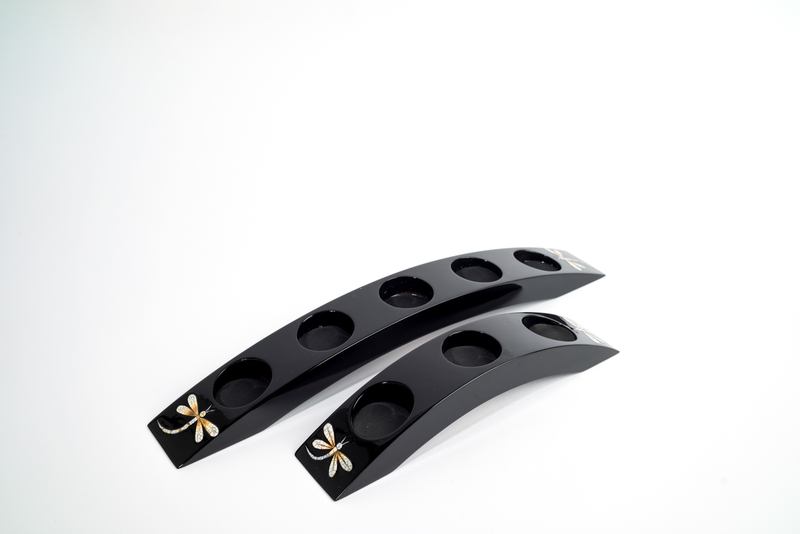 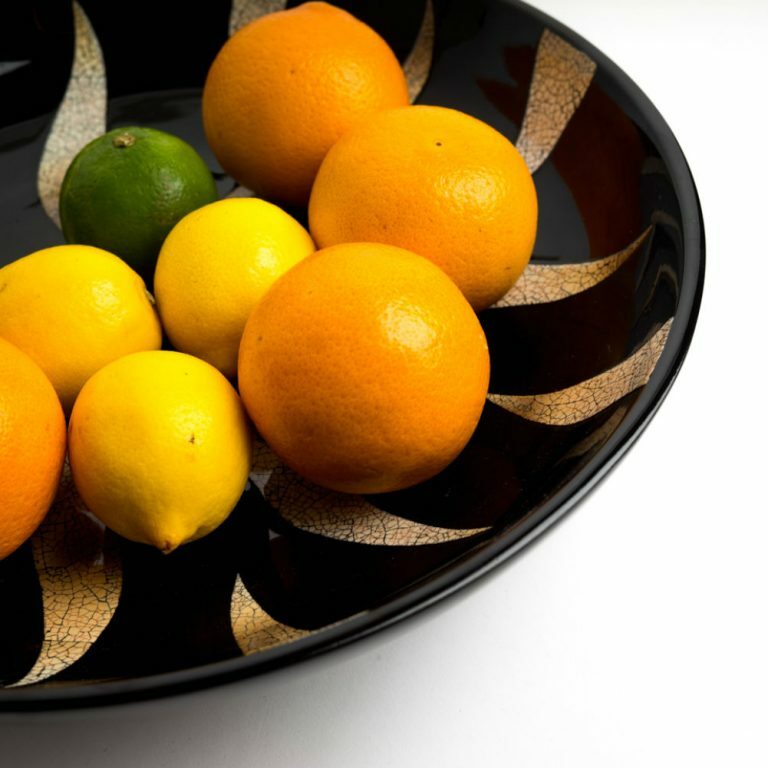 Silkwood Traders black wooden lacquer tealight holders are suitable for all standard tealights. 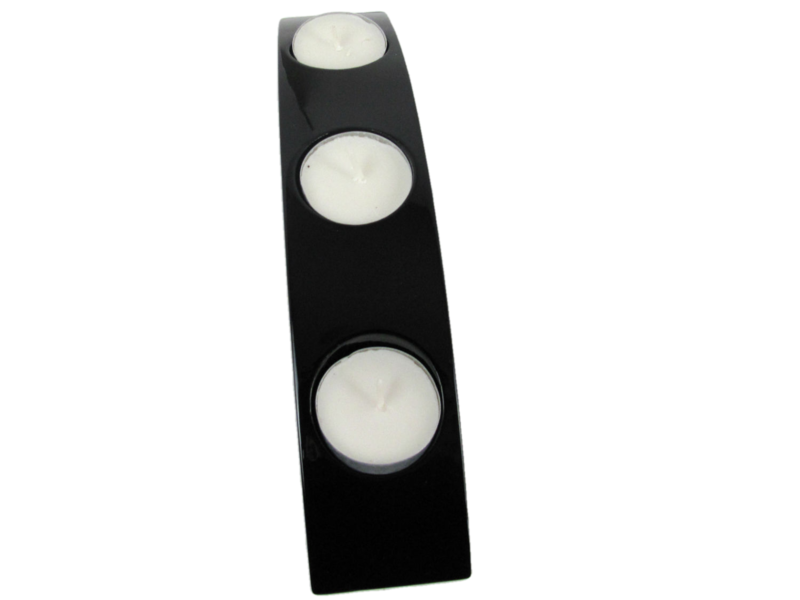 We advise that only tealight candles with an aluminium outer are used. 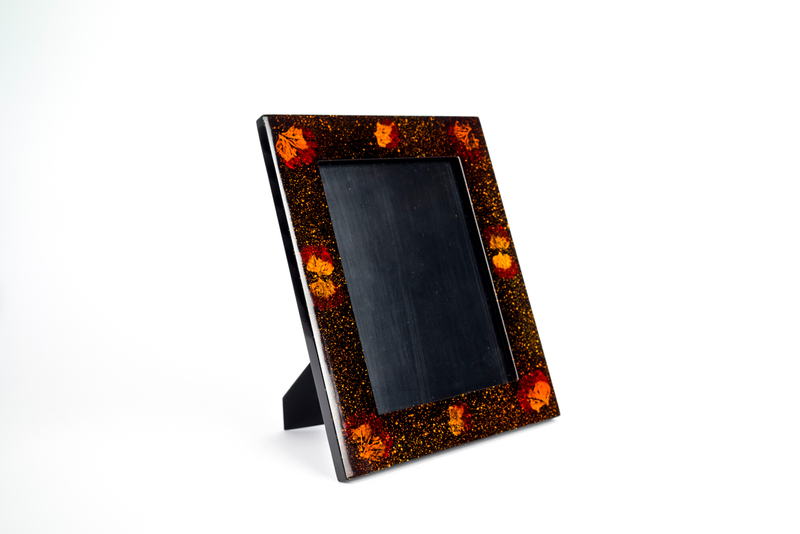 Each hole has a flame retardant inner. 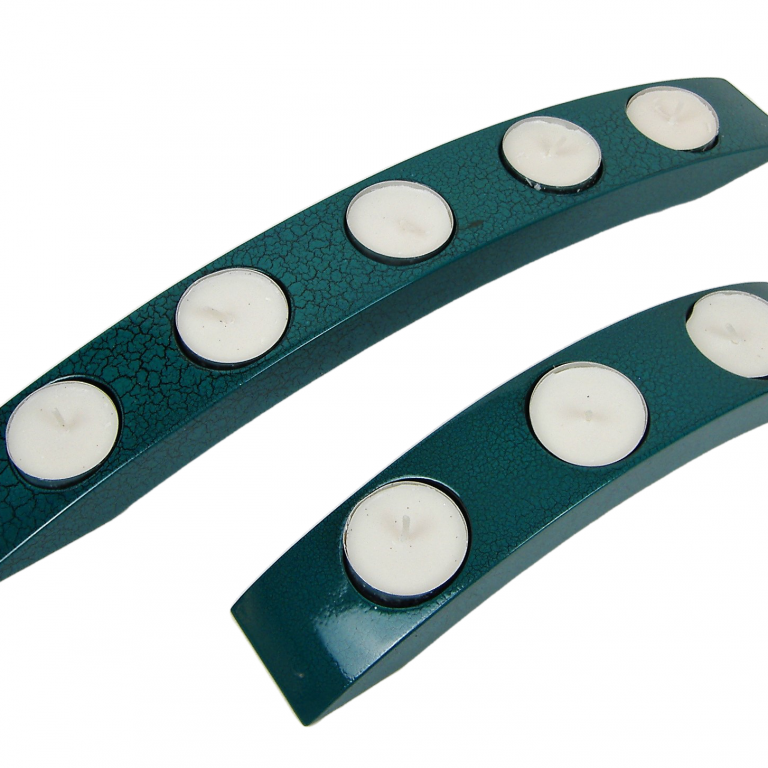 As with all candles, they should never be left unattended and the tealights should be properly extinguished before they fully burn down. 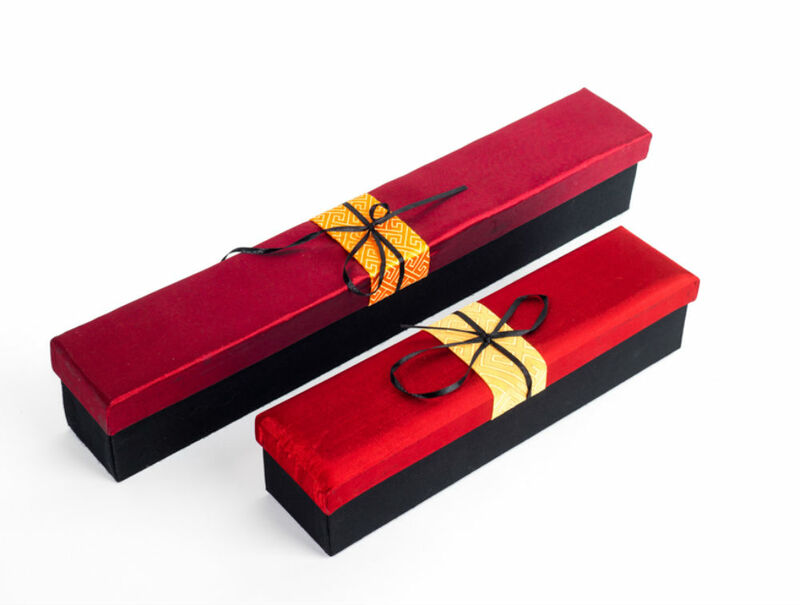 Each of our black wooden lacquer tealight holders is presented in its own a silk covered gift box with gift card and information card about how lacquerware is made. 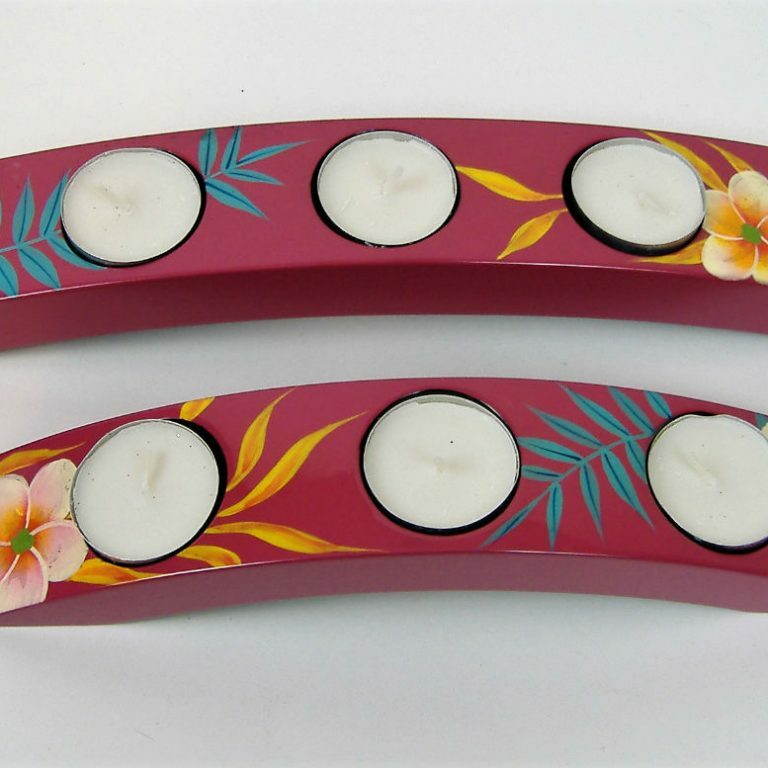 Tealight candles are not included.